Hanover Street Chophouse, founded in 2005, offers some of the finest cuts of steak and freshest seafood in the Manchester area. We pride ourselves in serving the very best, from high-quality, individually-sourced beef to ocean-fresh seafood. We go to great lengths to create the finest dining experience in New Hampshire, and our commitment to excellence is why our guests keep coming back again and again. 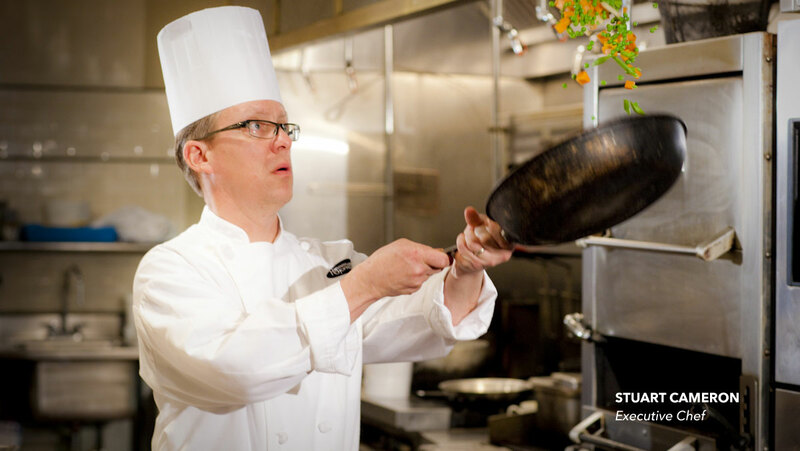 For over 20 years, Stuart Cameron has been preparing fine cuisine in restaurants across the country. A graduate of Cornell University, Stuart combines classic French techniques with traditional American influences, creating unparalleled signature dishes that are sure to capture your senses. Steven is a Culinary Institute (CIA) grad who successfully transformed a previous life as an Executive Chef in some of New York and New Jersey’s finest dining establishments into a savvy, guest-focused, “operations orientated” Restaurant Executive whose ultimate priority is the customer's experience. Stop by the Chophouse and you’ll see Steven’s influence in the kitchen, the dining room, and at the bar - and, likely, even the man himself. Friendly, personable and professional, our GM of the Chophouse hails from upstate New York. Tony is a graduate of SUNY with a degree in Business Administration who, over the past 16 years, has worked in restaurants throughout Western New York, Boston and New Hampshire. In 2008 Tony landed with the Chophouse and has been here delighting patrons ever since. We don't do what we do for awards or recognition, but it's always nice to get a little love from the community. The Chophouse is proud to claim awards from a variety of local guides and reviewers, including our being named Reader's Choice Best Steakhouse in 2017 by Manchester Union Leader, Reader's Poll Best Fine Dining Restaurant for 2017 by NH Magazine's Best of NH, and Best of the Best Fine Dining Restaurant for 2017 by The Hippo, among others. What can we say - it feels good to know we're making an impact. Top 100 "Best Steakhouses in America"
NH Lodging & Restaurant Assoc. "Top 6 Burgers in New England"
Being a strong community partner is very important to us. Giving back has always been a priority and a passion. Throughout the year, we support and collaborate with a variety of organizations throughout the city and surrounding areas. Although we can’t participate in or contribute to every charitable cause, we do our best to review every opportunity and determine what programs are the best fit for our time, talent and resources.